After all the run and party fun comes the cleaning part. Do not worry about the cleaning after a colour run or clean after holi party. With our safe powder paint this will be easy. Buy only powder paint that is certified in Britain, UK or Ireland. Clean powder paint easily with below tips and tricks. The colour run track can easily be cleaned with water. If no rain is forecasted you can also clean powder paint after a color run with a broom. You can also clean after colour run the places with a lot of coloured powder with a vacuum cleaner. Places that will have a lot of colored powder are the colour stations and the finish. A colour run track is easy to clean as the powder paint is not widely spread. To get everything clean after a Holi Festival can be a little more work. The full festival area will be covered with some coloured powder. First thing you should do, is remove all empty small plastic holi coloured powder bags from the ground. Did the holi party take place on a lawn? Let the wind and rain do the work for you. The coloured powder will blow away and wash away with the first rains. Our color powder contains no ingredients that could harm te environment. The coloured powder on peoples faces, arms and legs can easily be wiped of. A shower will do the rest. Cleaning colour powder after a colour run is no issue with our safe colour run powder. 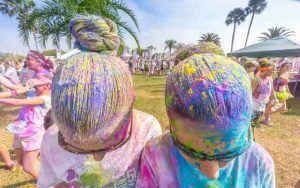 If you have blond or highlighted hair, you could decide putting some oil in your hair before the color run. It helps washing the holi colours out after the colour event. If you want to be 100% sure, you can of course wear a bandana or cap. We never experience troubles with coloured hair after a colour run. But sometimes it takes 1 or 2 days to completely remove the last stains of powder paint. People are sometimes worried about cleaning clothes and shoes after a colour run or Holi festival. Although we ensure our colours wash out very easy we advice you not to wear your best clothes or most expensive shoes. Leather and suede especially are known for easily absorbing some colours. 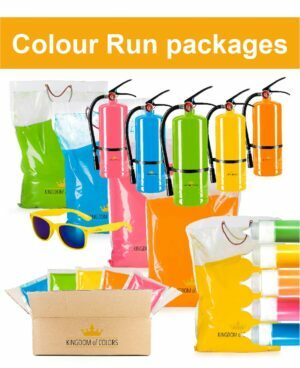 As leading distributor we have supplied and partnered with hundreds of famous Colour Runs and Holi Festival around the world. Most colour runs are just for fun. 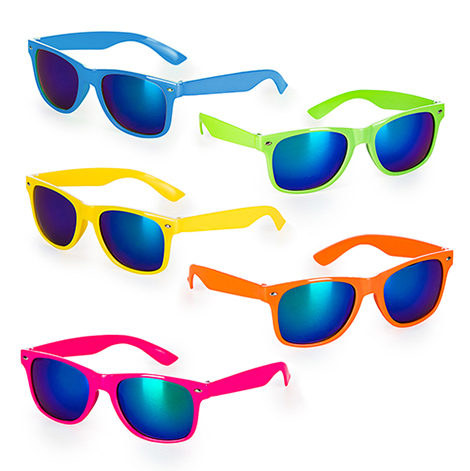 But more and more organizations and NGO´s use a colour run as fundraiser. 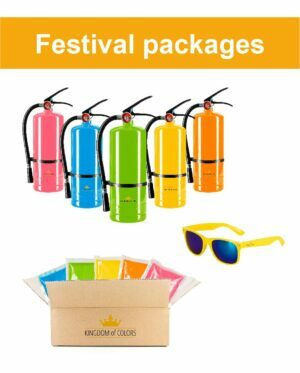 Have fun organizing your Colour Run or Holi Festival. 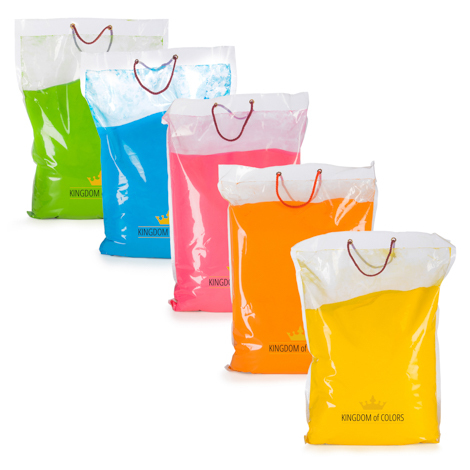 Contact us if you would like to buy powder paint in bulk in Britain, UK or Ireland. In case you would like to organise a Color Run in Spain / Italy / Germany / Netherlands / or France, Poland, Hungary, Sweden, Finland, Norway or Denmark, please click the country for specific info.